ACS can supply or design an acoustic cleaning system to suit your requirements. ACS also offers preventive maintenance programs and on site employee training. With the latest CAD technology ACS can provide design solutions for your applications. Air Monitor Corp. (AMC) has over 40 years of experience providing airflow measurement and control systems. For the past 20 years, AMC Power has pioneered combustion airflow and coal flow measurements for utility and industrial boiler applications. AMC Power provides engineered systems specifically designed for the Power Industry to measure primary, secondary, overfire air, FGR and individual burner airflow measurements as well as individual coal pipe coal flow measurements . The world leader in on-load boiler cleaning equipment. The OEM for the Copes Vulcan boiler cleaning equipment. The maker of SmartClean – intelligent boiler cleaning controls and equipment including Water Cannons and Superheater Fouling Monitoring Systems. Conval is a family owned business focused on providing superior valve solutions for their clients. Conval provides a long list of valves for the power, recovery and industrial markets; this includes but not limited to: globe, gate, ball, blowdown, instrumentation, feed control, actuated and check valves. CERAM has developed into a global supplier of plate and honeycomb catalysts for SCRs and currently has customers in more than 40 countries. CERAM provides testing and catalyst life management for customers with their own and other OEM catalyst. Their strong engineering background allows them to solve customers’ SCR problems. Delta designs and manufacturers measurement devices for CO, O2, and NOx constituents. The measurement systems provide accurate and reliable indications which allow operators and engineers to tune combustion for maximum efficiency with reduced emissions. Godrej Americas designs, manufactures, services, and sells Yuba and Ecolaire products around the globe in the electric utility, cogeneration and geothermal energy-producing markets. Products include but are not limited to feedwater heaters, heat exchangers, turbine condensers and air preheaters. IGS is recognized worldwide for its expertise to solve metal wastage issues on site, in situ, while on the critical path of a turnaround. The company has the versatility and experience to engage with reliability, inspection and maintenance teams to engineer complex metallurgical solutions.IGS designs, engineers, manufactures the longest lasting large particle ash (LPA) filtration systems in the world. Peerless expertise in NOx reduction has been successfully applied across a wide range of process heaters, reformers, platformers and cokers. Out of that total number, 573 units have been installed in the power generation simple cycle and combined cycle applications. That is over 100,000 MW of installed emission controls systems in the power generation industry today. Today, power producers, refineries, and boiler owners depend on Peerless for their pollution reduction equipment. Process Barron specializes in the design, manufacture, installation, maintenance and repair of all these products and services. Process is an industry leader thanks to its quality products, proven reliability and dedication to customer service. Southern Field-EEC is an experienced industrial maintenance company serving the pulp and paper, power generation, cement, and other industrial markets. 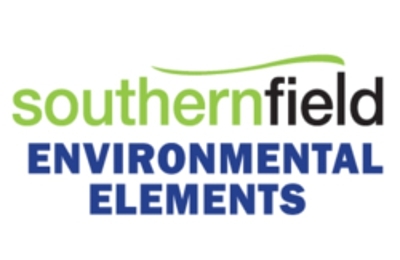 The 2018 acquisition of the Environmental Elements intellectual property, parts, and engineering has now positioned Southern Field – EEC as the largest precipitator OEM in the United States. SPX Heat Transfer Inc. designs, manufactures, services, and sells Yuba and Ecolaire products around the globe in the electric utility, cogeneration and geothermal energy-producing markets. Since 1928, the brands behind SPX Heat Transfer have stood for the finest design, manufacturing, installation and service of heat transfer equipment. Products include but are not limited to feedwater heaters, heat exchangers, turbine condensers and air preheaters. STAR has been highly specialized in turbine seals for 30+ years. Their success has been built on maintaining strict quality controls and an intensive training and apprenticeship program. STAR manufacturers many types of custom seals for steam turbines: Conventional, Retractable, Sensitized, Spill Strips and Conventional Spill Strips for various turbine applications.